At the WoodenBoat School in June 2015, Nick Schade led a class in Fine Strip-Planked Boat Construction. In a week, he and his students built two of his designs; a Night Heron kayak and a Nymph canoe. We have captured their work with this time-lapse video of that class. When he is not teaching at the WoodenBoat School, Nick runs Guillemot Kayaks in Groton, Connecticut. 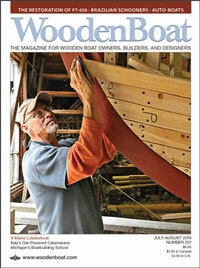 He has been making strip-built boats for over 25 years. Nick is also the author of two books, Building Strip-Planked Boats, and The Strip-Built Sea Kayak. 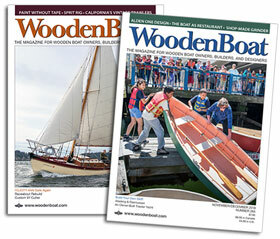 Both are available from The WoodenBoat Store.